Lightweight, packable insulation – your first layer of defense against cold winds and moisture-robbing sweat at the top of a hike or the middle of the night. Un duvet synthétique robuste bien chaud fabriqué de façon écoresponsable pour vous protéger dans vos aventures de tous les jours. 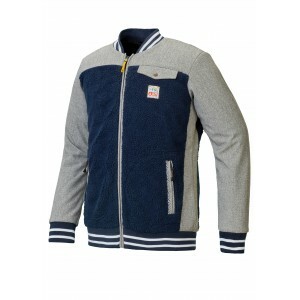 The Marco jacket provides the ultimate freedom of movement. It is made of a 100% recycled polyester fabric. 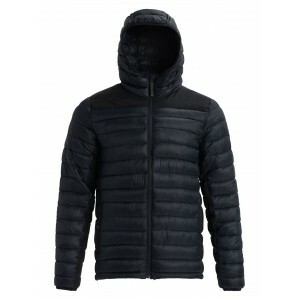 Polartec Thermal Pro® provides just enough warmth to wear between layers and the brushed fabric is soft to the skin. The large chest pocket brings it back to a vintage-outdoor style. The adventure starts here! Live your freeride dreams in this warm, light-as technical jacket. The natural wool insulation is breathable yet warm whilst the DWR treated rip-stop shell is wind and water resistant - perfect for high output winter missions. A super-versatile merino hoody. Throw it on, whatever your calling: from the mountain to the surf, from the gym to the bar. 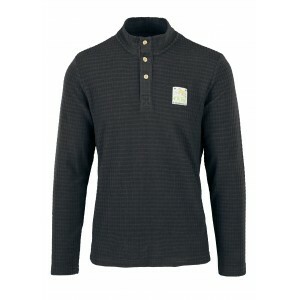 Made from soft merino terry with a high neck and zip garage to keep the cold out, comfortably. The ultimate shirt for those who live, work and play in the mountains. Made from heavy duty Melton wool with deep pockets for big mitts and cut relaxed so you're free to swing your axe, hoist a pint or shovel snow. With its urban look, the Brandson technical hoody hides a genuine stretch softshell jacket. When spring has sprung, shredding corn makes you sweat! Picture Organic midlayers are versatile and great looking, with performance & wearability that goes way beyond the mountain. 100% Recycled Polyester Picture Organic midlayers are versatile and great looking, with performance & wearability that goes way beyond the mountain. A go anywhere, do anything merino hoody. Technical enough for the back country. Style it up for the street or stay warm after a surf. A technical merino mid layer for those of you out there doing rad stuff all year round. A lighter weight version of our legendary insulator, in a low-profile design that packs away into its own pocket. 100% Recycled PolyesterGreenplus Certified Expedition Line printChest pocketElastic tapesReversible! Inside is the Woodland style print.